Fenway took a fall in the bathroom. Lots of blood. 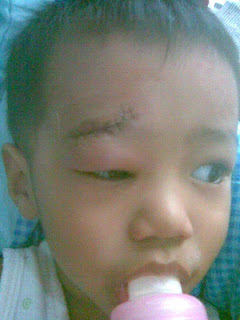 8 stitches. No longer perfect. Everyone says his mother beat him. Mam would never touch him. Me maybe, but like father like son. 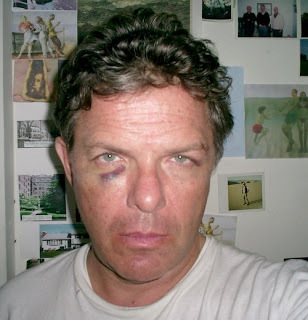 My black eye is from a street fight in Pattaya. In fact I did not land a punch. But I didn’t quit too. This entry was written by Peter, posted on June 6, 2018 at 1:06 am, filed under family, fights, Thailand, Traditions and tagged fenway smith, peter nolan smith. Bookmark the permalink. Follow any comments here with the RSS feed for this post. Post a comment or leave a trackback: Trackback URL.